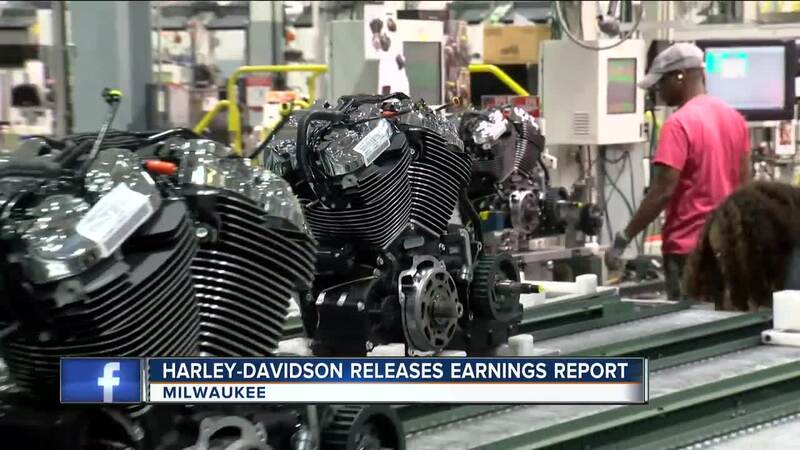 MILWAUKEE (AP) -- Harley-Davidson topped Wall Street expectations again on steady sales in Latin America, Europe, Middle East and Africa, though shipments slipped by 11 percent in the second quarter and the company warned that new EU tariffs would pressure operating margins. The motorcycle maker was targeted by President Donald Trump recently after saying that because of retaliatory tariffs from the European Union in response to new U.S. aluminum and steel duties, it would be forced to move some operations overseas. Last month, the President told TODAY TMJ-4's Charles Benson, "I was disappointed in Harley, because I like Harley. I was disappointed that they would be moving some of their operation to another country." In a conference call with shareholders Tuesday, Harley-Davidson President and CEO Matt Levatich said, "We will continue to build Harley-Davidson Motorcycles for our US riders in the United States as we have for our entire 115-year history." The tariffs went into place on June 25th which was close to the end of the earnings period on July 1. 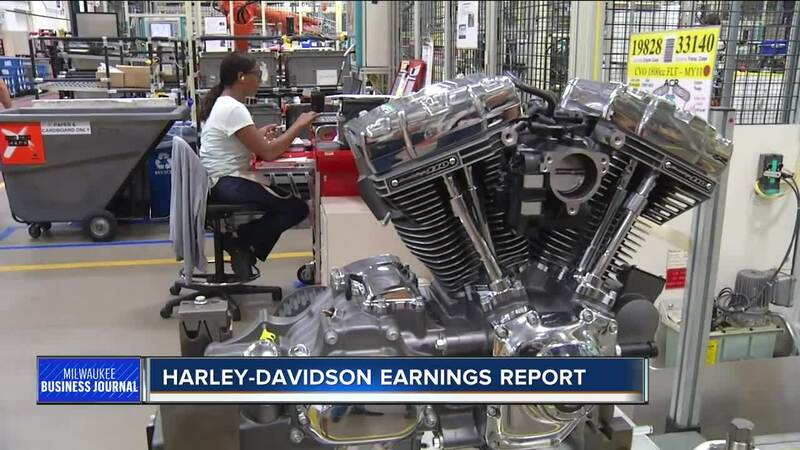 It's hard to tell the impacts based on the numbers, since new tariffs were only enacted for a week before the end of the quarter, but it's well-on the radar of Harley-Davidson. "We never contemplated moving our European volume out of the United States," John Olin, Harley-Davidson SVP & CFO said. "Consequently, analyzing the capacity options we have, manufacturing costs, supply chain logistics, in an effort to optimize and to reduce and mitigate those tariffs." Growth is Harley-Davidson's biggest problem right now. In the United States, they saw a 6.4 percent decrease in retail sales, which wasn't as bad as expected. However, they saw an increase in retail sales internationally, growing 0.7 percent. Harley-Davidson says it will face a $2,200 tariff for each bike sold in Europe. However, it's a cost they're willing to take on instead of passing it onto the consumer. "They need to grow overseas to continue any sort of positive narrative of the direction their business is growing," Patrick Leary, reporter for our partners at the Milwaukee Business Journal said. "They don't have an answer right now to the decline in the United States. They're showing positive numbers in Europe and they need those numbers to continue. They're willing to take the hit financially so those numbers do continue. It's one of the few things they can point to right now and say, hey, we're growing. This is positive. We're succeeding in some sort of way and that's European growth. If they take on a $30 million to $35 million hit to make sure that continues, they'll do that." There's no hint whether the tariffs will remain in place or for how long. However, Harley-Davidson says it's in their best interest for them to go away. "We are working with administration," Olin said. "We are working with all governments we can to do the best we can to get these tariffs removed and that's all I can say about it."